We have some good news and some bad news for Samsung fans on Wednesday. The good news is that we now likely know the exact release date for Samsung’s upcoming Galaxy S9 and Galaxy S9+ flagship phones. According to a report from a very reliable gadget leaker, Samsung plans to unveil the new Galaxy S9 and Galaxy S9+ during a press conference at Mobile World Congress 2018 on February 26th. The phones will then apparently be made available for pre-order beginning March 1st, and they’ll be released two weeks later on Friday, March 16th. Now, for the bad news. 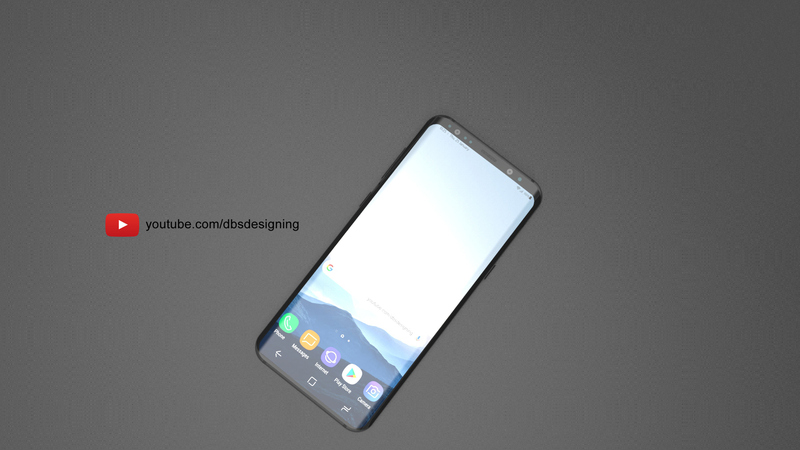 A new set of images shows us the stunning redesigned Galaxy S9 of our dreams… but unfortunately the real thing is likely going to look nothing like this. 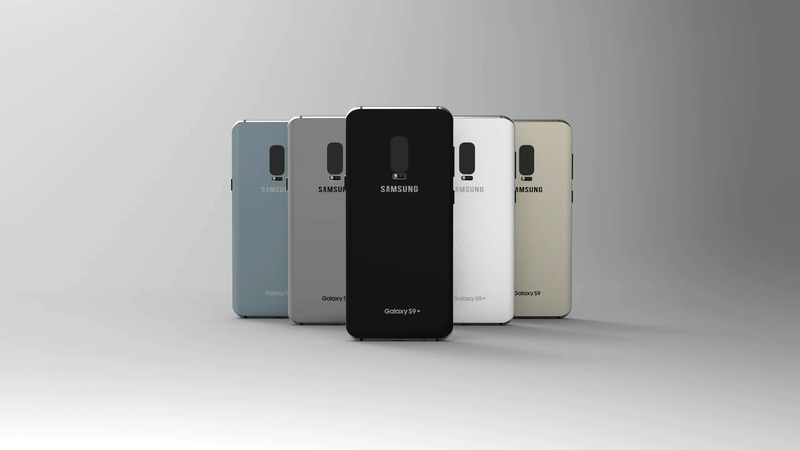 In just a few short years, Samsung went from churning out flagship smartphones with embarrassingly bad, plasticky designs to releasing some of the most beautiful smartphones in the world. Samsung really hit its stride once it adopted the curved front and back that are now standard on all of the company’s flagship phones, and last year’s Galaxy S8 and Note 8 took things to the next level by adopting an immersive new design that is nearly all screen. In 2018, there was hope that Samsung would push things even further with a new Galaxy S9 design that features an even better screen-to-body ratio. The company was even reportedly working on such a phone, but unknown issues forced Samsung to cancel that exciting new design. In its place, Samsung will reportedly release Galaxy S9 and Galaxy S9+ models that are nearly identical to their predecessors. So it looks like Samsung fans will have to wait another year for a Galaxy S phone with a new and improved screen-to-body ratio, though it’s possible that the upcoming Galaxy Note 9 could debut with the new design ahead of next year’s new Galaxy S handsets. 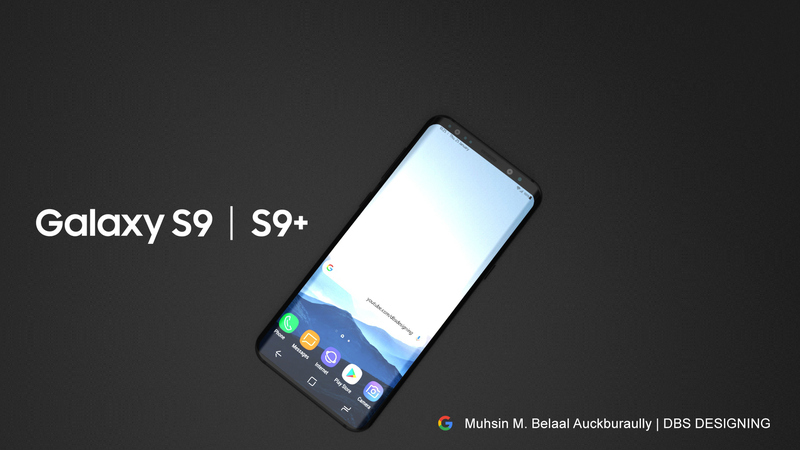 In the meantime, graphic designer Muhsin M. Belaal Auckburaully has whipped up a sleek concept Galaxy S9 design that shows us what could have been. The actual Galaxy S9 and Galaxy S9+ models that Samsung will unveil next month are believed to be almost identical to the Galaxy S8 and Galaxy S8+ on their front sides. But Auckburaully envisions a new phone that uses the brilliant design introduced by Apple on the iPhone X to extend the display all the way to the bottom of the Galaxy S9. The top bezel has been narrowed as well, and the result is truly a sight to behold. You’ll find a few images and a video from Auckburaully’s showcase, and the rest can be found on his Behance page.